For the first time in 2016, the MotoGP™ World Championship went out for practice on European soil. For many riders Jerez is like coming home, knowing every inch of the track thanks to years of experience in the junior classes. Compared to the first three rounds, the layout of Jerez is also quite different, much tighter and narrower in comparison to the enormous Circuit of the Americas. 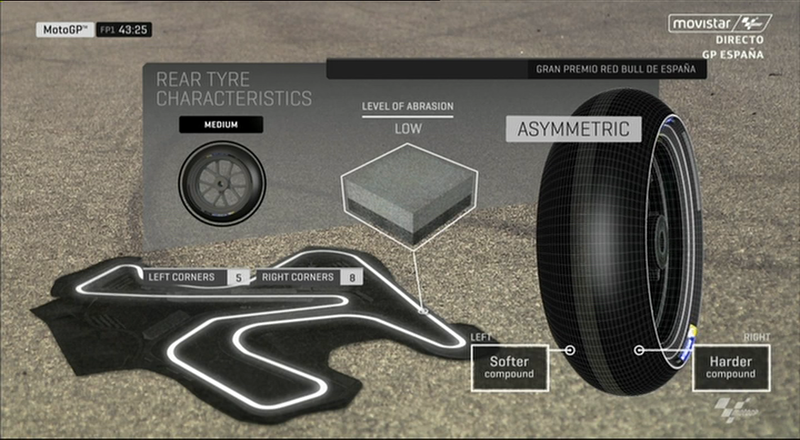 This prompted many of the riders to explore a number of setting changes to suit the more ‘European’ style of circuits. The return to Europe also gave teams a chance to bring several upgrades, Aprilia bringing a number of revisions including chassis upgrades. 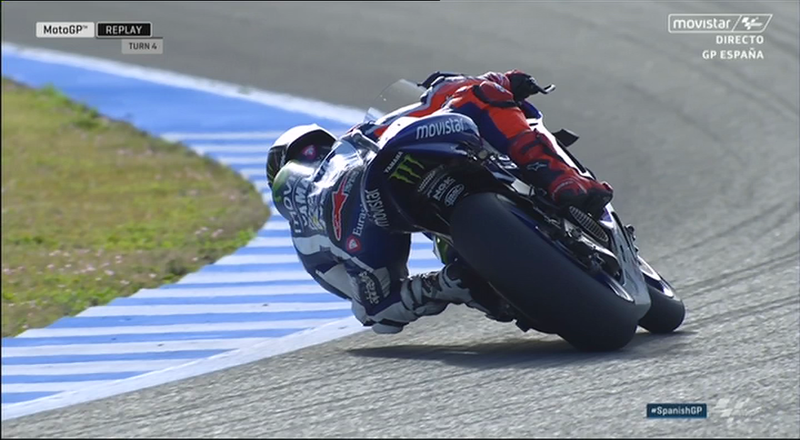 Yamaha once again experimented with the fuel tank shifted towards the back, Jorge Lorenzo (Movistar Yamaha MotoGP) testing it during the first session. Meanwhile the Repsol Honda Team continued to experiment with their winglets as they debuted a third new design on Marc Marquez’s RC213V. These winglets are much bigger than any previous incarnations and are quite similar to the ones run on several of the Yamaha bikes. Early in the session it was Hector Barbera (Avintia Racing) who topped the time sheets. The Spaniard has been a rider reborn in 2016, the new technical rules allowing him to regularly challenge inside the top ten. His time at the top wouldn’t last as Valentino Rossi (Movistar Yamaha MotoGP) pushed him down to second. 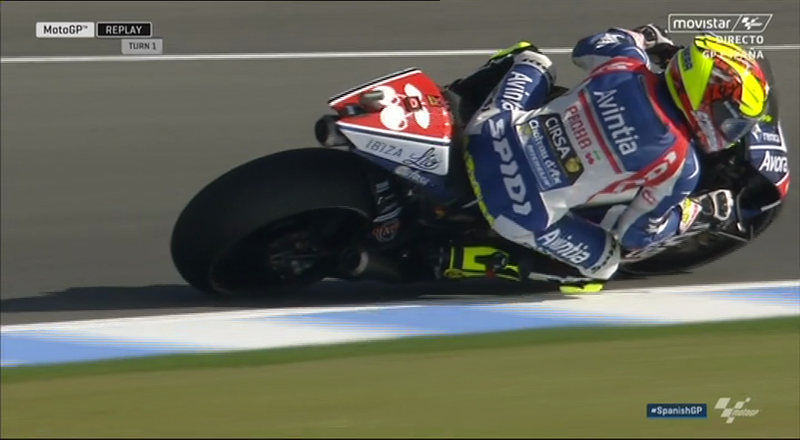 Barbera proved his first fast lap was no fluke as he responded to Rossi and set a 1’40.527 to recover first position. 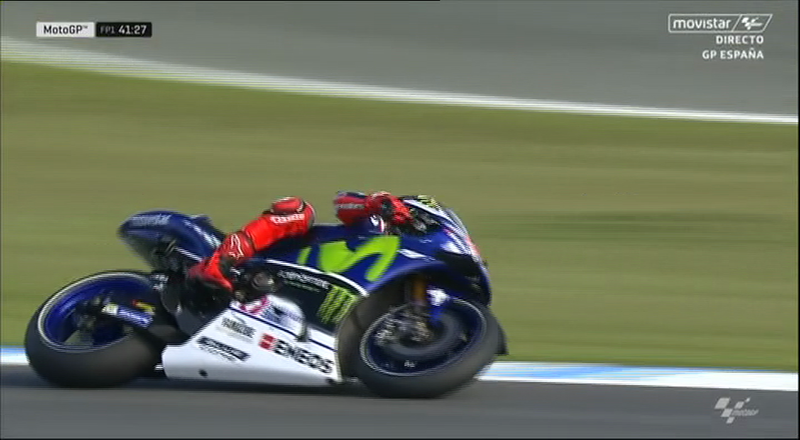 Again this time wouldn’t stand as Jorge Lorenzo soared to the top of the session with a 1’40.270. The Majorcan made it very clear during Thursday’s press conference that despite moving to Ducati in 2017, his intention is to win the 2016 MotoGP™ World Championship with Yamaha. His pace in Free Practice 1 certainly proved his point, leading by over a quarter of a second. Barbera’s time would eventually place him second in the session, an incredible result for the Independent Team rider. 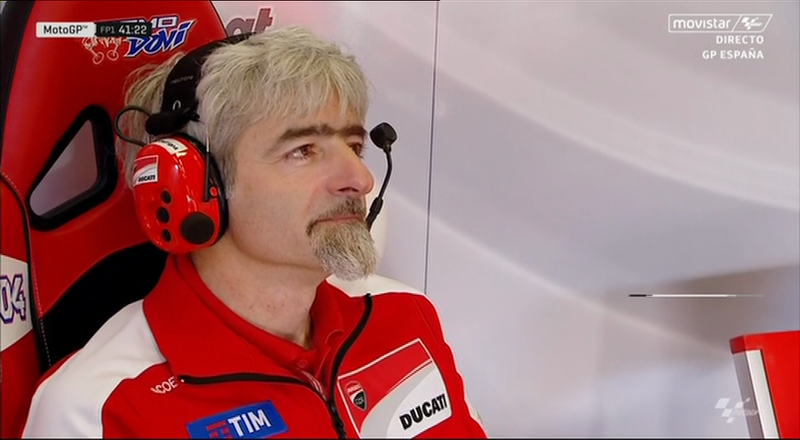 Throughout the year Barbera has been able to produce single flying laps, but this is by far his best performance. The highest Ducati behind Barbera was Yonny Hernandez (Aspar Team MotoGP) in eighth place. Rounding out the top three was Valentino Rossi, ending 0.406s behind his teammate at the top of the timing screens. With 21 laps in the first session, Rossi completed the second most laps of any rider. 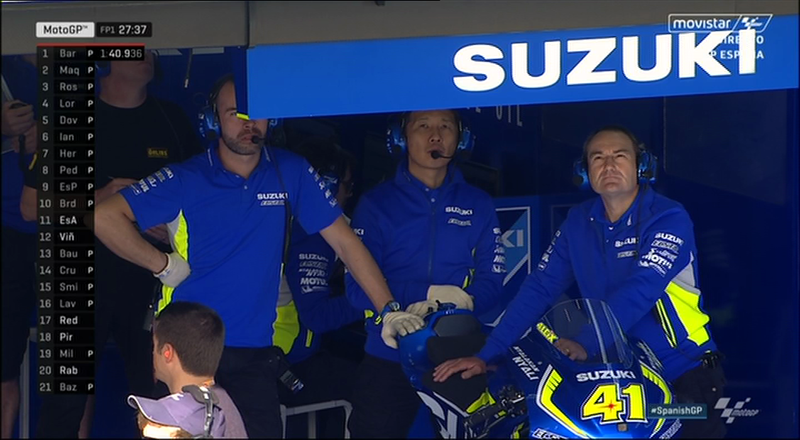 It’s clear Rossi is out to make amends for his Austin crash here in Jerez, one of his most successful circuits, and is already hard at work. Dani Pedrosa (Repsol Honda Team) was half a second back on Lorenzo’s time as he concluded the first session in fourth position. 0.015s behind his teammate, Marc Marquez completed the top five. It wasn’t a perfect session for Marquez as his bike cut out during a practice start and forced him to return to the pits on the scooter. Times remain tight at the top as all of the top five are within 0.6s and there’s still plenty of time for improvements to be made. 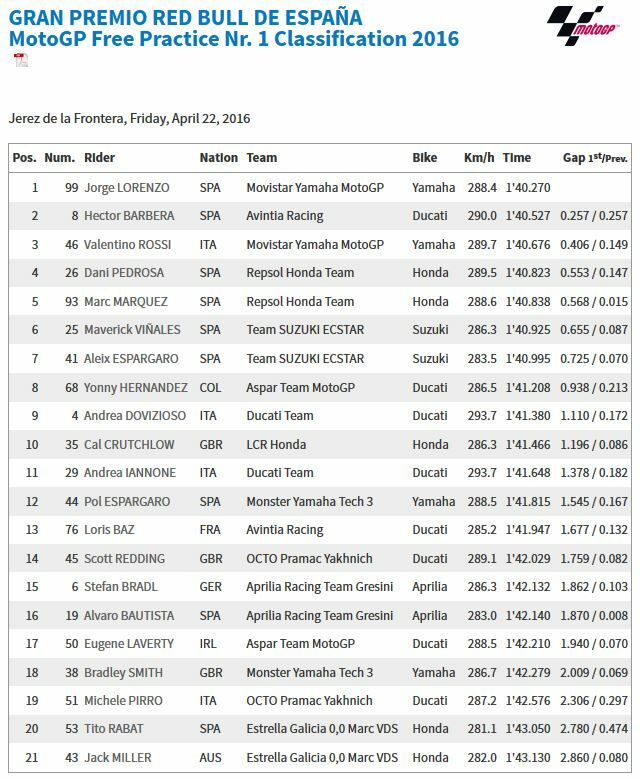 Maverick Viñales (Team Suzuki Ecstar), Aleix Espargaro (Team Suzuki Ecstar), Yonny Hernandez (Aspar Team MotoGP), Andrea Dovizioso (Ducati Team) and Cal Crutchlow (LCR Honda) formed the remainder of the top ten. Suzuki have also decided to continue using their 2015 frame as their base, experimenting with the 2016 version when they feel it may offer an advantage. Jack Miller (Estrella Galicia 0,0 Marc VDS) made his return to the paddock after missing round three. 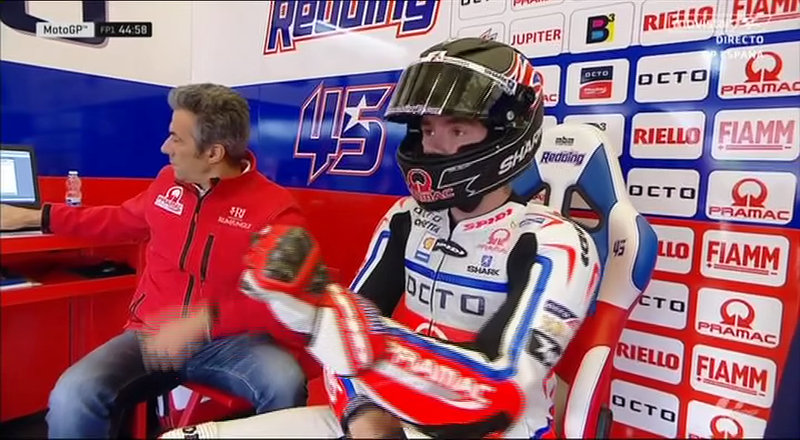 His ankle is still far from perfect, ending the session 21st and 2.860s off the pace.